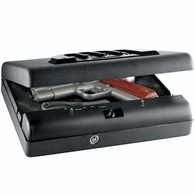 Gunvault Handgun Safes & Pistol Boxes - Now On Sale! 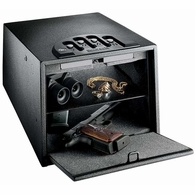 "GunVault pistol safes are truly premium security products that leave other manufacturers green with envy. 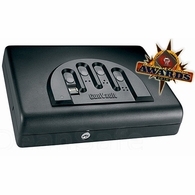 The patented no-eyes keypad or biometric pad provide lightning-quick access, even in the dark. 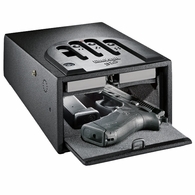 Choose from the electronic lock or biometric lock styles when you need quick-access storage for your handgun or valuables. 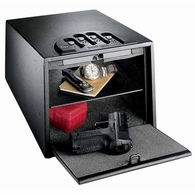 GunVault knows that security and reliability are important to you. 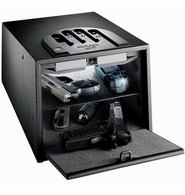 That's why GunVault pistol safes have the features YOU want." 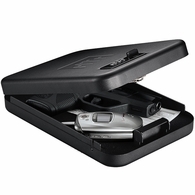 Need quick access to your weapon? Ever had a close call with a child who found your loaded weapon and wanted to explore it? Medicine control while you are not there for an older relative living with you ? 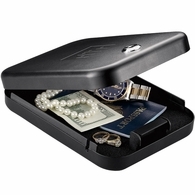 Gunvault Pistol Safes give you immediate access to your pistols and other valuables. 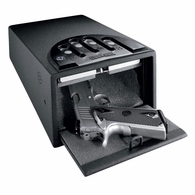 <>Check out the Gunvault pistol safes video below to see how easy it is to use them. 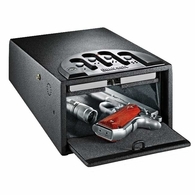 By entering your own combination on the GunVault pistol safes, you quickly open the handgun safe and access your weapon or other items you wish to keep secured. They will give you years of quality service and reliability. It has a one year limited warranty from the manufacturer. 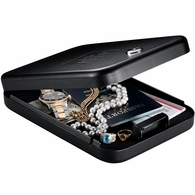 Small sizes to accommodate small pistols, jewelry or pill bottles.